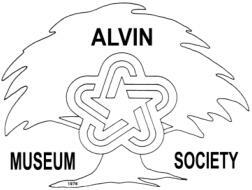 "Ancient Oil Lamps from the Middle East," the new temporary exhibit, opens at the Alvin Historical Museum on Thursday, December 3. On display are oil lamps from the private collection of Richard and Linda Klapper. Make plans now to view this exquisite exhibit of oil lamps dating between 2000 BC and 1000 AD.